I was asked to write about some work or study snacks you can have with you for energy! Energy bars/balls - home made ones made from nuts and dried fruit and chocolate for extra luxury! There are lots of good recipes! Chia pudding with granola - but a little carry pot and if your school or work has a fridge you can put it in! Nuts and seeds - If allowed. And don't forget that things such as egg (if not vegan), tofu, potatoes etc can be eaten as snacks as well. Somedays for work I just eat a second smaller lunch as my snack depending on how long I have to eat. But usually fruit, dried fruit, bread and rice cakes are my standard work snacks and somedays nuts such as almonds and walnuts which are ok in school. If you have any more suggestions comment below! Popcorn with coconut oil and nutritional yeast...so good! I also like bananas/apples with peanut butter. dried prunes or apricots are my favourite, as are chocolate covered raisins and cashew nuts, rock cakes or mixed fruit pots. 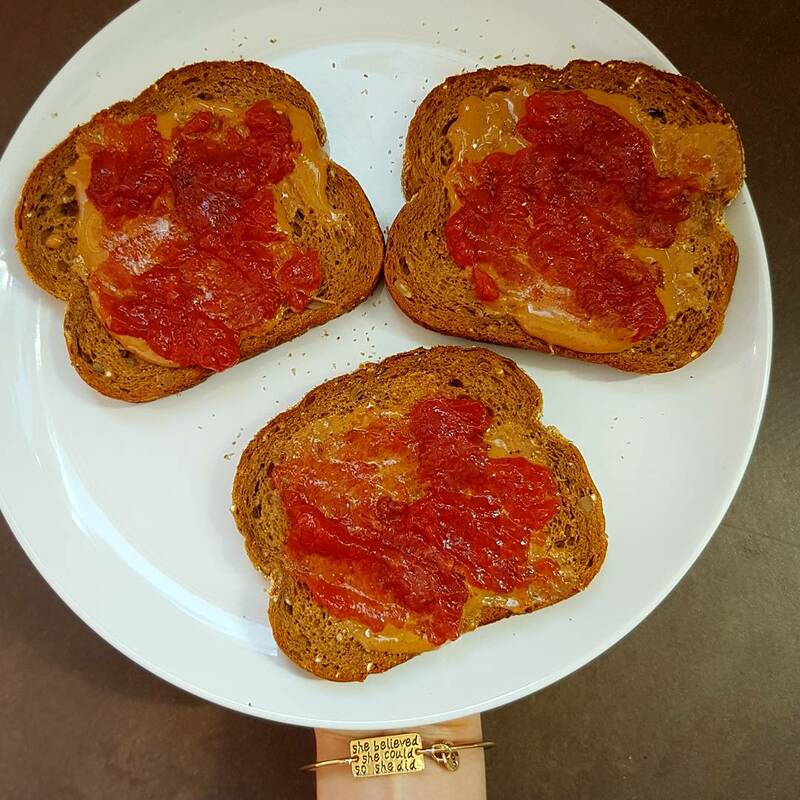 At home I love peanut butter and jam spread on toast, or fruit and yogurt. I have heard about the increase in how many portions of fruit and veg you should eat in one day, I think its gone from 5 to something like 7 - is this right? And why is it that fruit/veg only counts as one of your recommended amounts if you only eat 1 portion? Meaning a can of baked beans - says 1 portion counts as one of the recommended amounts of fruit or veg per day but if you eat the whole can it still only counts as 1. Why is this? Surely if you eat more than one portion of something it should count for more? And why doesn't potatoes count as one of your recommended fruit/veg amounts? I have always wondered about this!